So we’ve made it to the final working week before Christmas and New Year and what a year it has been! With 2019 looming it’s a great time to think about those resolutions some of us set ourselves at the beginning of each new year, and for some the changes we’d like to make centre around the home. Updating your lighting can completely rejuvenate and bring new life to a home, making rooms look bigger, highlighting previously unusable dark areas and bringing a beautiful vibrancy to a space. Here are 10 top tips from TLW for creating a better VEW in your home in 2019 using lighting. 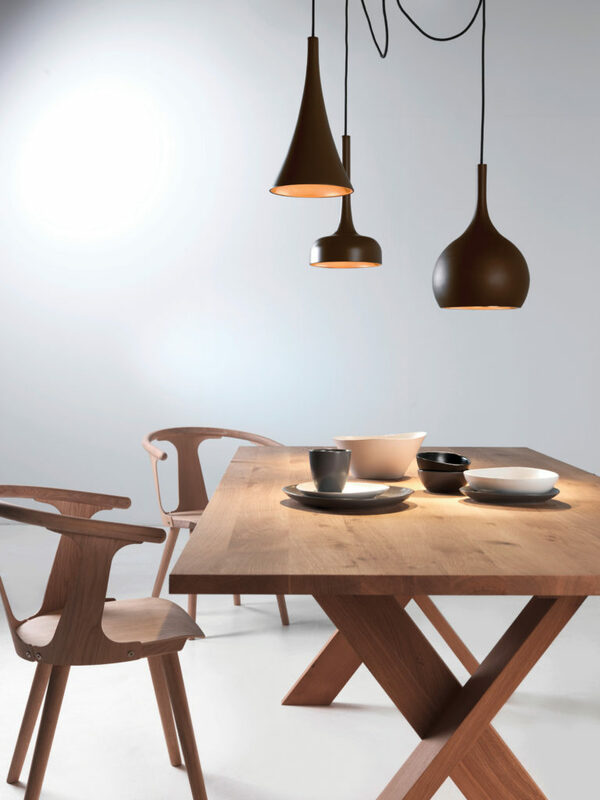 A quick and easy way to bring some drama, style and, of course, light to a room is to add pendant lights. 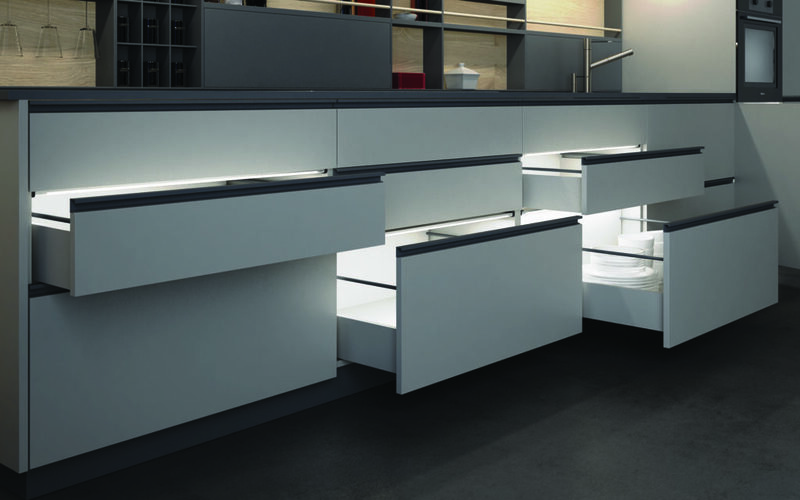 These products make a feature out of lighting whilst also bringing important task light to a space. 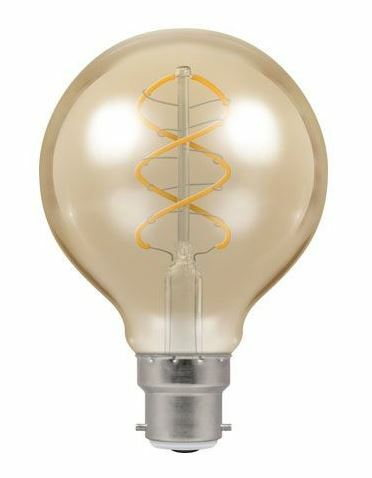 Here at TLW we have a huge range of pendant lights that can be used in all kinds of situations and in any style of home. Keep it simple using a single drop pendant with an understated but stylish shade, or go all out drama with more than one pendant and create a beautiful feature. 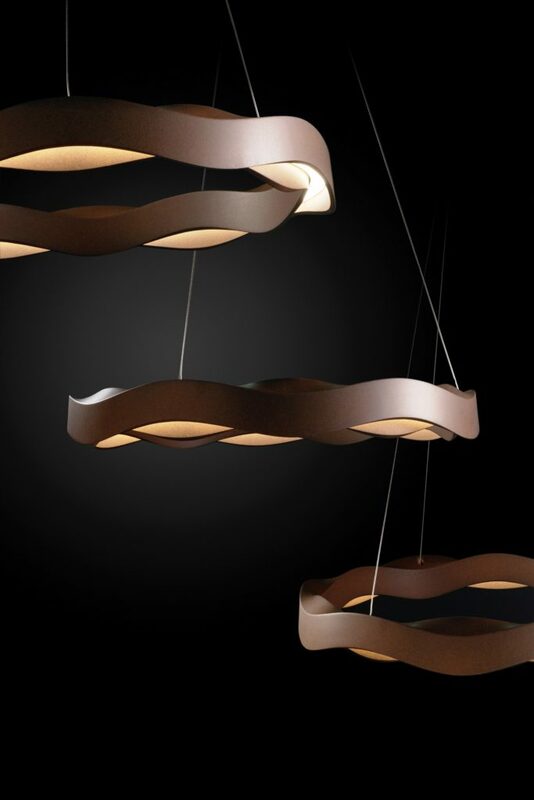 To see our vast range of pendant lighting, click here. With the introduction of CCT lighting, it’s now possible to change the colour temperature of a room at the push of a button or the swipe of a screen. Changeable colour temperature lighting can be adjusted to anything between 3000K warm white and 6000K daylight to suit any event, time or mood. VEW has a range of different products available in CCT options for many areas of the home. Not only do CCT products allow you to change the look of a room, they have also been scientifically proven to have a positive impact on sleep and overall well being, as changing light colour temperature throughout the day mirrors the cycles of the sun and keeps our circadian rhythms functioning effectively. 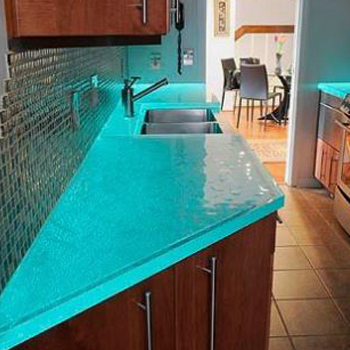 If the pantone colour for 2019 is anything to go by next year will be a time to be bright and bold with colour choices. If you’re all about vibrant shades or even if you like to play it safe with subtle introductions of colour, why not do it with lighting? Adding pendant lighting is a great way to get creative with colour, but RGB LED tape is a truly versatile option for designing a colour scheme that can change whenever you like. 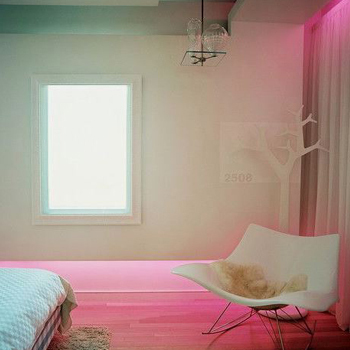 The adaptability of RGB tape means that the colour palette of a room can be transformed in a matter of seconds. For more ideas, read this blog. 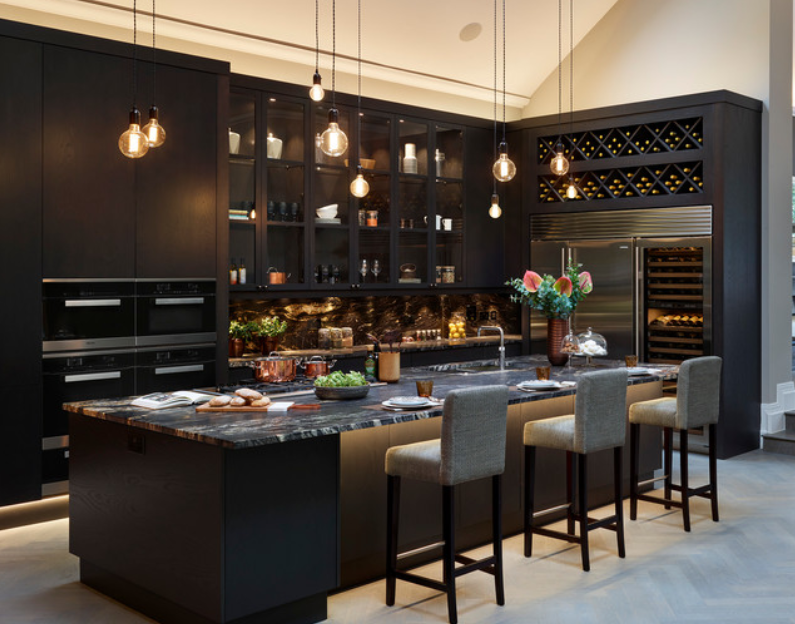 One of the biggest trends forecasted for 2019 is dark kitchens. 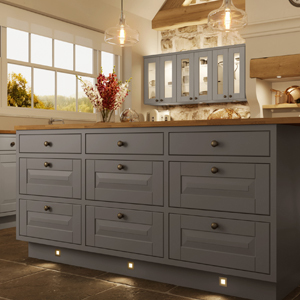 Whether that’s dark worktops, units, walls or the whole room, a lot of us may end 2019 with a transformed and much darker kitchen. 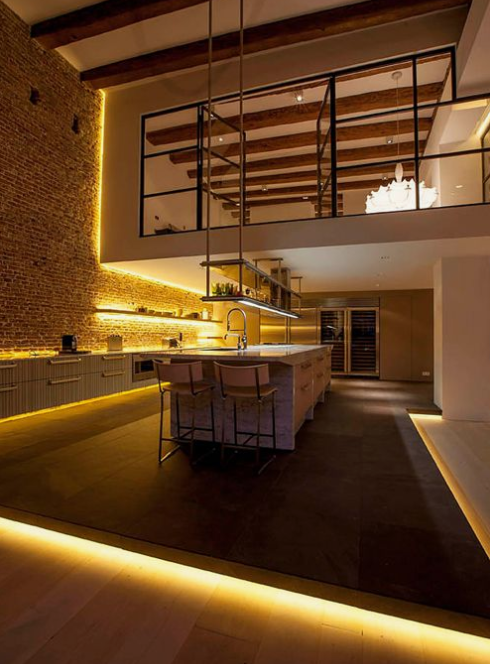 With the advancements in LED technology, having a dark kitchen that is usable and attractive is entirely achievable and can be installed with absolutely no fear of the space being too dingy, drab or dim. At TLW we always say that, if you’re smart with your lighting choices, there is absolutely no style or shade of kitchen that is off limits. 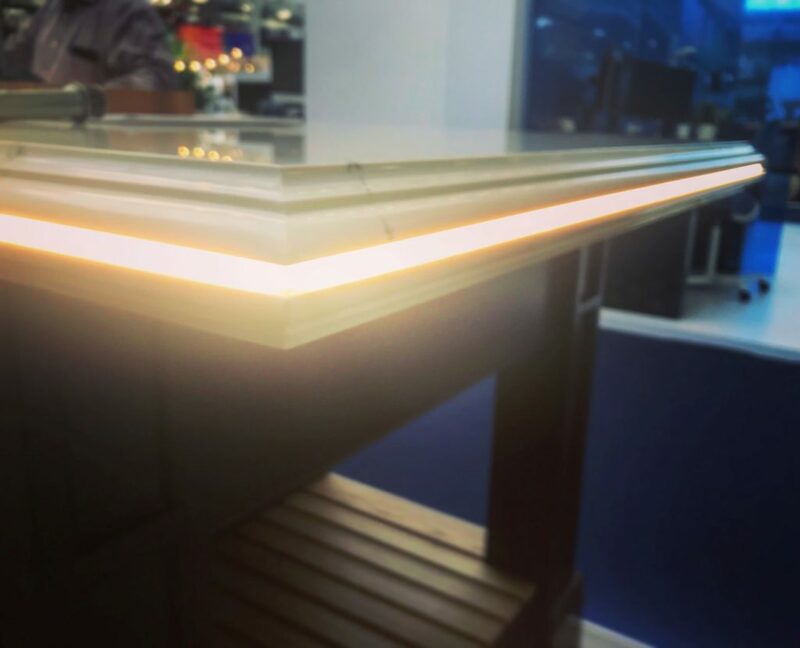 VEW lighting has such effective light output, beam angles and spread of light that you should never fear purchasing a dark kitchen! A major technological advancement has taken place in recent years: the introduction of the Smart Home. A huge amount of people now control everything in their home with smart devices and apps. Most VEW lighting can be controlled using a mobile phone app when installed with our Wifi multi channel receiver. 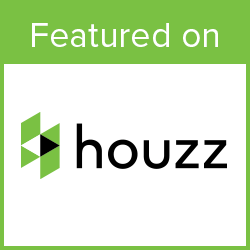 This allows you to create multi zone lighting in every room of your house! For more details contact sales@the-lightworks.com. When making changes to your home it can be easy to fall into the trap of planning for the present, but it’s extremely important, both financially and logistically, to consider the future. 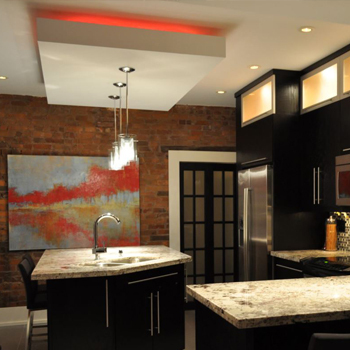 Lighting is important for everything we do in the home, from food preparation, to work, to entertaining. A lighting scheme should be able to adapt to the way you live both now and in the future. Look ahead and ensure that your lighting can keep up with your lifestyle. 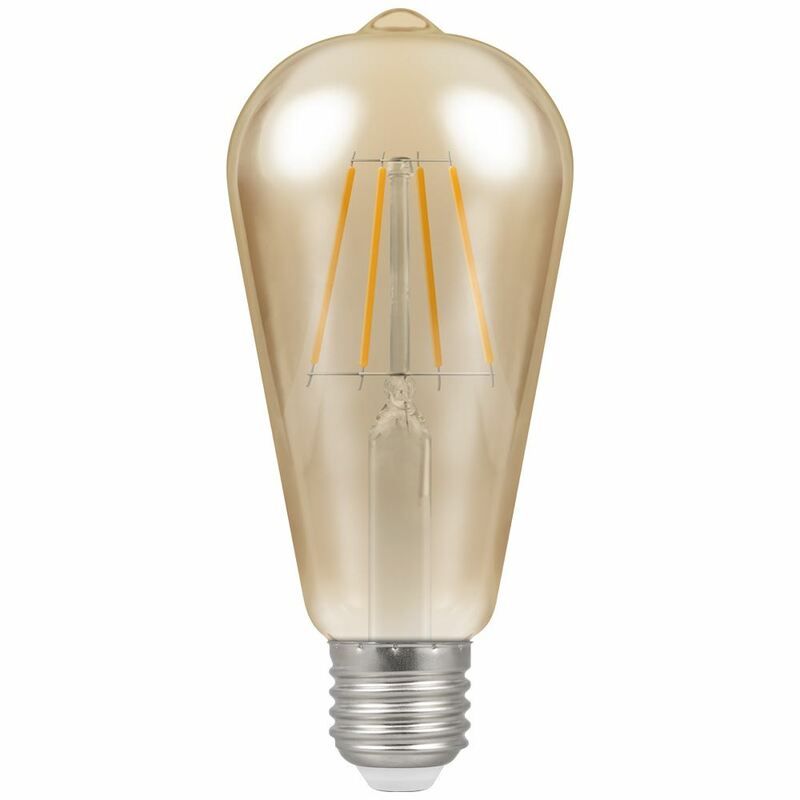 LED technology can last for over 17 years so it’s definitely best to think long term! 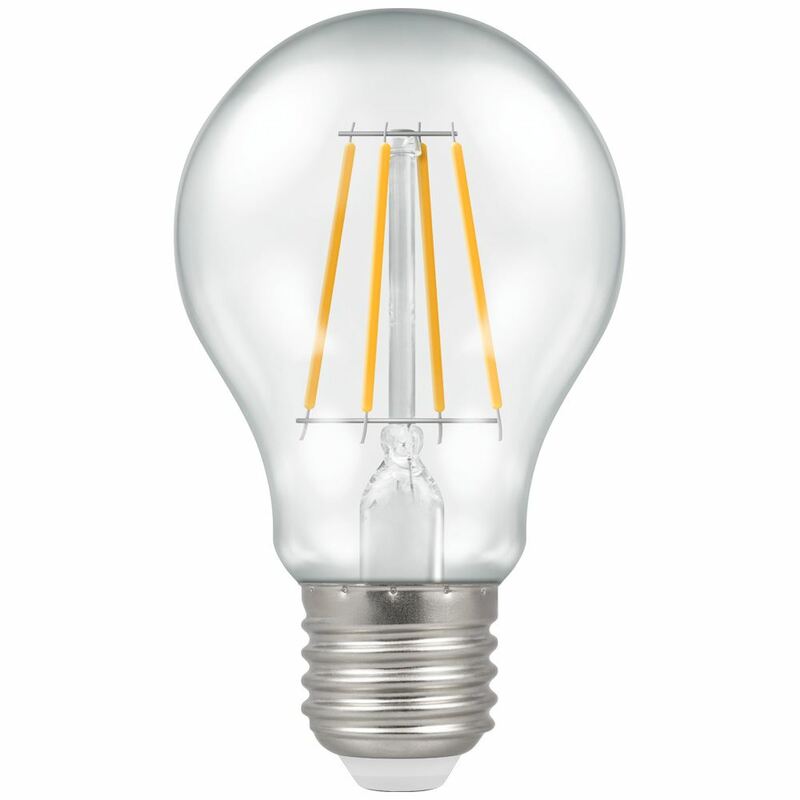 For some useful tips on future proofing your lighting, read this blog. Planning lighting can seem complicated but with the right information and guidance at the start of the process it can actually be very simply and quick. Whether it’s a complete overhaul of a lighting scheme or just replacing a layer of lights to give a room an update, make sure you are in the know before you make a purchase or installation. At TLW we have a team of lighting experts ready to help at any time, but for a few quick tips, read this article. Sometimes there are products that have one use, one installation location and a specialised purpose. Then there are others that can be installed anywhere with ease. A great product for its versatility is LED tape. VEW LED tape comes with 3M VHB on the reverse as standard. This is the strongest adhesive tape available on the market, meaning that our tape can be installed pretty much anywhere! We also do a range of IP65 rated tapes meaning they can be used in bathrooms or in areas that may come in contact with water. With this product, the sky’s the limit! 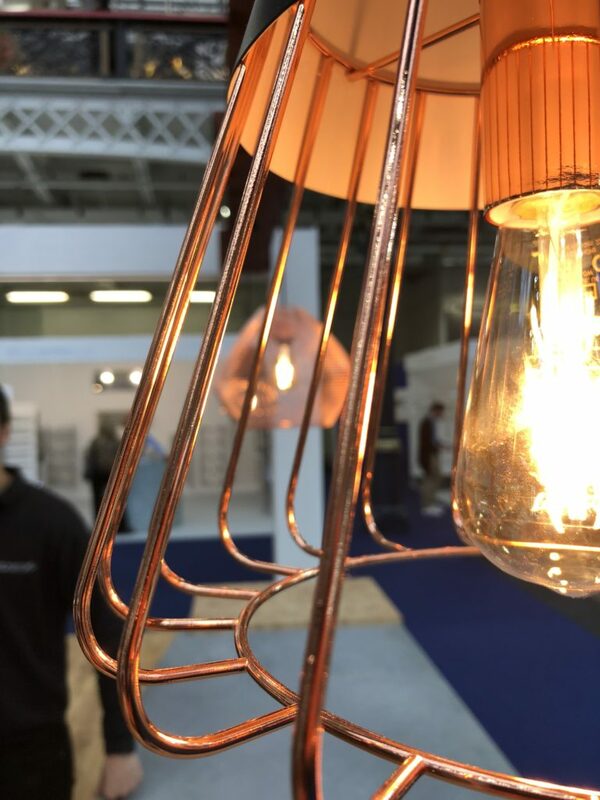 If you’re looking to change things up with the lighting in your home but don’t have the time or budget to make big transformations, switching to Filament lamps brings instant style to a light fitting. 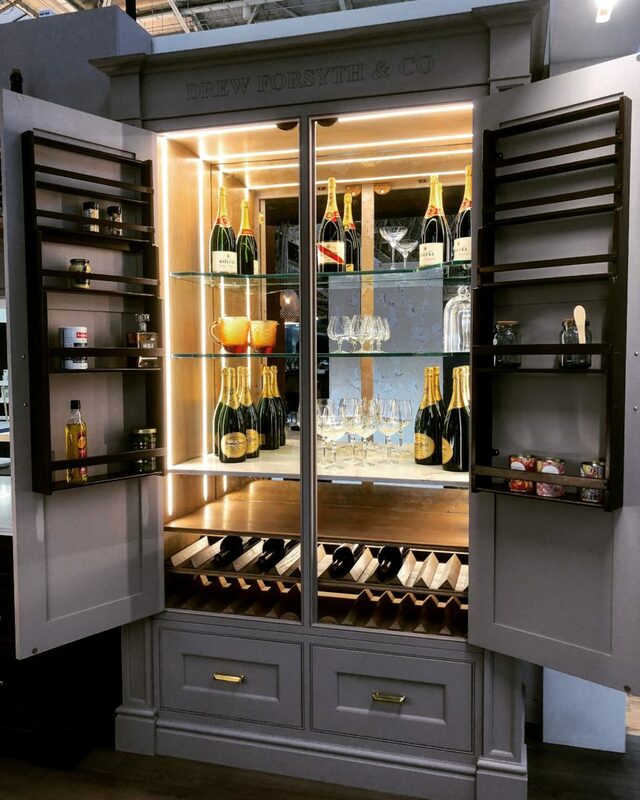 Whether it’s an lamp with an antique finish or a clear glass casing, these products take a fixture from standard to interesting in no time! 2019 is a year of announcements and exciting developments for TLW. We have new products, new marketing tools and other big things coming to you, all start from January 4th. Keep an eye on our social media channels, website and blogs to be the first to know. The blog will also be updated every week as usual with lots of useful tips and ideas. Wishing you all a very Merry Christmas and a happy, healthy New Year!